Click below for some great ideas!! Open 7 days a week. Whether you're looking for a new design piece for your home, holiday décor or decorating for a party, you can find some very unique items there. 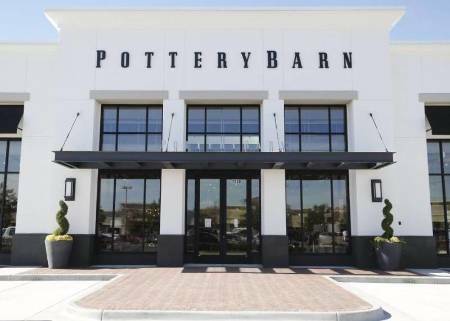 Also a little tidbit you may not know about Pottery Barn…they have complimentary design services! At The Mumba Rai lndian Bistro, you’ll find a creative take on Indian street food classics, using authentic recipes and fresh spices and ingredients. All food at The Mumba Rail is made from scratch, prepared in traditional tandoori ovens for a truly authentic Indian dining experience. You’ll find traditional dishes like chicken tikka masala, tandoori chicken, thali plates, and crispy samosas, along with traditional Indian drinks like mango lassis and chai tea. End on a sweet note with ice cream imported directly from India, or order the rasmali, which is a delicious soft cheese served in sweet cream. Check Out the Downtown Chili Cook Off this Saturday! Click here for more info about the Downtown Chili Cook Off!! Looking for something to do in the Wichita area this fall? Click here for mroe information. Whether you're a vegan or you simply try to cut out meat a few days a week, vegan dining is a great way to improve your health and do some good for the environment. Here are a few inspiring Pinterest boards that are filled with vegan recipes that are sure to get your mouth watering. This Pinterest board is bright, colorful and filled with nutritious meals for every time of day. From hemp seed snack smoothies to grilled veggie fajitas, there's something to inspire every meal. This community Pinterest board features contributions from some of the best vegan food bloggers online. Here, you'll find sweet, frozen snacks, globally inspired lunches and even a variety of different ways to prepare tofu. If you're looking for some inspiration for lunch or dinner, this is the board to check out. It features main courses like vegan pot pie, savory Indian curries and lots of veggie-packed soups. Watermark Books and Cafe fosters a close-knit community of avid readers and coffee lovers, offering an inviting space to enjoy great food, great coffee, and a great book. The cafe offers fresh daily selections of scones, cakes, muffins, and pastries, as well as homemade soups like tomato bisque. Every dish here is made from scratch and inspired by Watermark’s "cookbook of the month," and their rotating menu will make it so that you never tire of their delicious offerings. After you’ve eaten, join in on one of Watermark’s many book clubs. Visit the website to check out book clubs and best-sellers lists, and to preview the monthly food menu. You’ll also find other special events, like child story times and Camp Watermark, where you’ll learn how to draw your own comics. Beautiful place to take an evening walk & great photo opportunities! For a taste of gourmet Vietnamese cuisine, look no further than Lemongrass, right here in Wichita. Made with high-quality meats, seafood, and ingredients, Lemongrass’ dishes are fresh and always from scratch, in honor of Vietnamese culinary traditions. Every aspect of Lemongrass’ dishes are carefully crafted, from the selection of ingredients and spices to the stunning final plating presentations. Enjoy local favorites like the scallops, claypot salmon, shaken tofu, Viet wings, Vietnamese seabass, pho tai bac, and mussels in a rich buttery sauce. Pair your meal with a refreshing hand-crafted cocktail or beer from their rotating draft list. This upscale restaurant offers a luxurious dining room providing a beautiful and comfortable atmosphere in which to enjoy your memorable meal for your next special date night or dinner with friends. You want to fill your home's walls with art, but anyone who has ever tried to get something framed knows just how pricey it can be. Luckily, there are a number of great alternatives to professional framing that will still help you to show off your art in an attractive way. Here are just a few smart tips for framing art on the cheap. Use an online framing service. Nowadays you can do just about anything online, including framing your art. Browse the web for online framing services like Framebridge and in just a few business days, you'll receive a beautifully framed art print in the mail — often for less than $50! Stock up on frames. If you prefer to frame your art on your own, stock up on affordable frames at craft stores or thrift shops. You'll often find secondhand, mass-produced frames backed with craft paper and foam, but don't worry; those can be easily removed. Remove the backing. If you do happen to find a great deal on a secondhand frame with built-in backing, remove the layer of craft paper by pulling out the staples or simply cutting it out. Next, remove the inner layer of foam or cardboard by again removing any nails or staples. Add a mat. Whether you disassembled your own secondhand frame or bought one new, at this point you'll want to add a mat to create a professional look. You can purchase a mat at any craft store, so long as you carefully measure both the size of your frame (for the mat's outer edge) and the size of the print (for the mat's inside edge). Clean the glass. Finally, clean the glass thoroughly and let it dry before placing it back in the frame. If you removed the backing, add your own backing with more craft paper and either glue or staples. Don't have a traditional dining room table? You'll be happy to know that there are still a number of other ways to have your friends over for dinner. Here are a few smart tips for hosting a dinner party even without a dining room. Think buffet-style. Avoid the sit-down feel right from the beginning by serving your food buffet style. This not only embraces the lack of a traditional dining room, it even makes it more fun. Plan the menu accordingly. Since you don't have a large table, you'll want to avoid a really formal meal. This isn't the time for prime rib and multiple sides; rather, it's the perfect opportunity for a taco bar, a heaping bowl of pasta or dress-them-yourself burgers. Embrace your outdoor space. If your rental comes equipped with its own private outdoor space (or even a shared outdoor area), it's the perfect opportunity to take your meal al fresco. Bring along a tablecloth, a few candles for ambiance and some recyclable plates that don't require much clean-up. Take it to the floor. Toss some comfortable throw pillows around your living room and instruct your friends to gather around the coffee table. Turn it into a theme night. If you're worried about the informal feel of eating on your couch with guests, turn your dinner party into a cozy theme. Pop in a movie for a laid-back movie night, or grab some board games for a dinner-party-turned-game-night. Botanica Gardens in Wichita provides a magical outdoor space for local residents to spend an afternoon among nature. The gardens opened in 1987 with only four gardens and today boasts more than 30 themed gardens for guests to experience. The gardens are open year-round and span 18 acres with more than 4,000 different species of plants. In the spring time, more than 50,000 tulips are in bloom, which is quite a sight to see. A children’s garden features a giant tree house, a water pump, and of course lots of plant life. During the holidays, guests can visit to see large, festive light displays dispersed throughout the grounds. Admission into the gardens is free for members, $7 for adults, $5 for kids and free for children under 2. Group admission is available for larger groups, so call ahead if you plan to visit with more than 10 people. Finding stylish home decor and furniture doesn't have to bust your budget. Visit the following stores to find unique and trendy home decor and furniture at prices that won’t break the bank! Cost Plus World Market is an affordable retail store that sells unique home furniture, decor, rugs, curtains, gifts, coffee, wine, and so much more. They offer original, high quality items at a great value. World Market brings the beauty of global markets to you and their large selection of original items is constantly changing. They have stores all over the nation and you can also shop online. Christmas Tree Shops offers a surprising variety of items that are always changing, at prices you won’t find anywhere else. The buyers at Christmas Tree Shops travel all over the world to find products that are distinctive and intriguing. Pier 1 Imports is well known for their fun, inspiring, colorful, and unique furniture and decor. They use fashion-forward trends and even handcraft exclusive items with the customer in mind. The products at Pier 1 can really inspire and ignite your creativity. Bonus-They have $5 burgers on Thursdays! Whether you're working with limited space or you're simply looking for something more unique than traditional furniture, there are a number of reasons why you might want to skip the usual squared nightstand and opt for something a bit more tailored to your needs. Here are just five great alternatives to the usual bedside table — and even a few that aren't tables at all! A chair. Visit your local thrift store or a stylish home goods store to pick out chic chairs that can double as bedside tables. They're perfect for creating a base for your current reads and an alarm clock, or if you prefer to go the minimal route and leave the chair's base bare, you can even use it to sit on. A sturdy shelf. If you only have a few feet to spare on either side of your bed, simply attach a small shelf to the wall and use it as a compact nightstand alternative. A vintage milk crate. Hunt for these rustic wooden crates at local antique sales or even the farmers market if you're looking for a bedside table with a bit more personality. Simply flip it upside down or on its side, depending on how tall you want your "table" to look. A desk. If you're on the other side of the bedroom spectrum and actually have more space than you know what to do with, use a desk as your nightstand. That way, you can fill empty space and create a private area for answering e-mails or planning your week. A bar cart. Everyone loves the retro bar cart, but this piece isn't just designed for housing your favorite spirits. Use it in a guest bedroom to provide your guests with a carafe of water, fresh flowers, toiletries and more. Annual Moonlight Car Show is tomorrow – check it out! To enter the Sweepstakes, visit our Facebook Page and then look for the Sweepstakes tab (image shown below) located on our Facebook Page to enter. Sweepstakes ends August 31st, 2016. We suggest you like our page to keep informed about future sweepstakes and community happenings. Red Rock Canyon Grill in Wichita is the perfect mix between a local restaurant and a chain. One of five locations throughout Oklahoma and Kansas, Red Rock serves Southwestern American food in a casual atmosphere. Large windows allow natural light into the modern dining room. The open kitchen makes for a level of entertainment in itself, as guests can see chefs prepare their meals and smell the aromas migrating from the kitchen into the dining room. An outdoor fireplace makes for a cozy seat while guest wait for tables. The restaurant serves dinner every night, and the menu includes classic American dishes with a Southern twist, like the John “B” Good chicken encchiladas and the Bunkhouse St. Louis barbecue ribs. Brunch is also available on the weekends. For those looking to grab a drink, the bar is open on weekdays starting at 4 p.m.
Are You Looking for Something Fun to Do This 4th of July? Have You Tried the Creme Brulee Pie at Chester’s Chophouse and Wine Bar? Sometimes you just want to go to a sleek and charming steakhouse and enjoy a quality meal. If that’s the case, check out Chester’s Chophouse and Wine Bar in Wichita. Chester’s is one of those places you go with your friends and family to celebrate an occasion or a place to take a first date. Inside, Chester’s is warm and inviting with classic chandelier lighting and leather booths. Entrees include classic steakhouse dishes like filet mignon and New York strip, along with fish dishes and a raw bar featuring fresh oysters. All sides come family style, so don’t expect small portions. For dessert, the crème brulee pie is famous among diners, and the cocktail menu allows the bartenders to show off their mixology skills. There’s also an extensive wine list so you can find the perfect wine to pair with your meal. Make sure to make a reservation, especially on weekends, as tables go quickly! The bathroom is often one of the most neglected rooms in any home, but with a few simple updates, this high-traffic area can become a soothing oasis. Transform your rental bathroom into an at-home spa with these stylish (and affordable!) DIY projects. Improve the lighting. If your bathroom is dull and dark, brighten things up by adding lighting that works for you. You can switch out pendant lights (as long as you're able to switch them back when you move out), or add hanging lamps around the sink to add additional lighting. Create your own custom shelving using reclaimed wood. Just about everyone could use a bit of extra storage in their bathroom, and it's easier than you think to gain extra space. Try hanging antique wood crates on the wall, or make your own shelves by tying wooden shelves on hooks with some rustic ropes. Weave your own bathmat. Add a colorful, eclectic look to your bathroom by weaving your own bathmat. Use fabric rope in a variety of colors to create your own unique color scheme. Add vintage furniture. If you have unused space in your bathroom, fill it with furniture pieces that you might not usually expect to see in a bathroom. A small armoire or even an antique vanity looks chic and unexpected — and best of all, it adds some extra storage. What’s Your Favorite Beer at River City Brewery in Wichita? A brew pub is always a nice change of pace for a leisurely afternoon, and River City Brewery in Old Town Wichita brings just that to local residents. The brewery opened in 1993 and was the first brewpub in the city of Wichita. The brewery always has a rotation of 16 beers on draught as well as a selection of six different microbrews. And unlike many other brewery menus, the food served at River City Brewery is not strictly bar food. Guests can enjoy salads, hand-crafted macaroni and cheese, hearty entrees like baby back ribs and ribeye steak, and a large selection of pizzas and burgers. Inside, the bar is cozy and warm with exposed brick walls and high-top bar seating. Go upstairs to the loft space to enjoy a drink in the remodeled bar or grab a seat on the deck if the weather is nice. On weekends there is live music and a dance floor. If you’d like to know more about the tradition and history of railroading in the Great Plains area, check out the Great Plains Transportation Museum in Wichita. The museum allows guest to not only learn about the history of locomotives, but also to see and climb on actual steam and diesel trains used in the early 1900’s. The museum is small so it won’t take long to walk through the exhibits, but for a rainy-day activity with kids, there’s a lot to be learned. Kids can climb through different locomotives and even sit in the engineer’s seat to get a feel for what it was like to drive these massive trains. The museum is open every day except for Sundays from November through March. Admission to the museum is free for kids under 3, $4 for kids ages 4-12, and $7 for those 13 and older. If you’re attending with a group, call ahead to schedule a group tour. "To raise funds to assist & support the transportation of children to the "Shriners Hospitals for Children" of North America & the Q Foundation for Kids"
There will be Food Trucks, Music, Door Prizes, Vendors, Silent Auction & more! It’s rare that a museum or exhibition can transport you to another time, but Old Cowtown Museum in Wichita does just that. The venue has what seems to be a preserved Western frontier town from the 1860’s on display with artifacts, replicas, and staff dressed in period costumes. Guests can walk through multiple businesses like an old-time barber shop, saloon, and more. Throughout Old Cowtown, visitors can see more than 10,000 artifacts from textiles to furniture and tools. Visitors will learn all about the transformation of Wichita from a cattle town to what it is today. Cowtown is open Tuesday through Sunday and closed on Mondays throughout the regular season. In the winter months, the museum is closed Sundays and Mondays. Admission to the museum is $7.75 for adults, $6 for seniors and kids ages 12-17, and $5.50 for children ages 5-11. Kids under 4 can experience Old Cowtown for free. If you think you need to venture to the bar to find a unique, tasty cocktail, think again. You can easily mix up your own creative cocktails and mocktails in the comfort of your own home. The most important part of a great drink is how long the flavor lingers in your mouth. You want to intrigue your taste buds and mind after the sip goes down. These tips are sure to leave a unique, lasting flavor on your tongue. Choose a good quality base liquor or flavor of your cocktail. Use a generous amount of the base spirit. Mix in a tart or sweet ingredient such as lime juice, simple syrup, or liqueur. Remember to keep it simple and balanced, as this will make the flavors last in your mouth. Add a few drops of bitters or a hydrosol, such as rosewater, to add aromatics to your drink. A cocktail that contains delicate flavors or ingredients should be stirred. Be sure to shake any cocktail containing juice or egg whites. To avoid diluting your drink, use larger ice cubes that will melt at a slower pace. In your glass, the ice should be visible about the alcohol line. Take some time to make your cocktail look presentable. A simple lemon twist can add a touch of elegance to your drink. If you feel like your apartment's decor is looking a little tired, don't fret. You don't have to save up for months to complete a total overhaul of the place; instead, you can make a few quick tweaks designed to have the ultimate impact. Here are five ideas to get you started. Reupholster a dying chair. If you consider yourself a solid DIYer, then reupholstering a chair should be no large feat for you. Perhaps you already have a comfy chair at home that you can reupholster, or maybe you'll have the added perk of being able to find one at your favorite thrift store. Either way, head to the craft store to choose a fabric you like, then use an online tutorial to help you make over your chair. Paint your throw pillows. There are countless ways to spruce up throw pillows, from slapping on a new case to painting them with colorful stripes. Use the method that suits your style (and time constraints). Make over your headboard. If it's your bedroom that needs the facelift, start with its focal point: the bed. 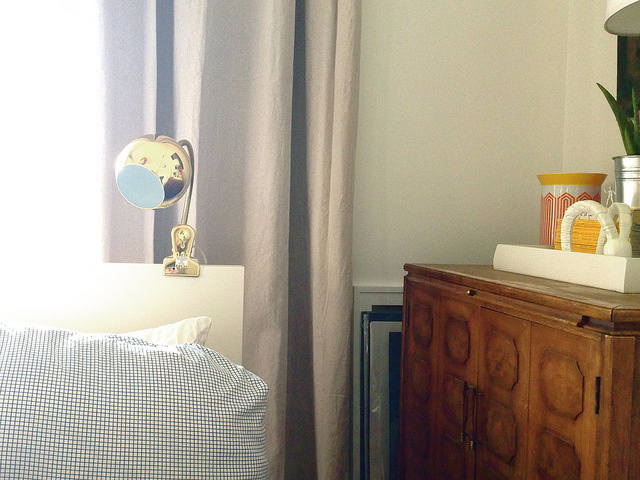 You can recreate your headboard easily and cheaply, in various ways. For instance, hang a curtain panel across a metal bar for a contemporary twist on the typical headboard. Mix and match different rooms' accents. Maybe you already have all the components you need to update your apartment within its four walls. If you have certain decorations that distinguish a room, try swapping them between other spaces in your home to create a new aesthetic. For example, you could move the end table from your living room into the guest room, and repurpose the bedside table as a new end table instead. Check out this show at Century this Tuesday and Wednesday. 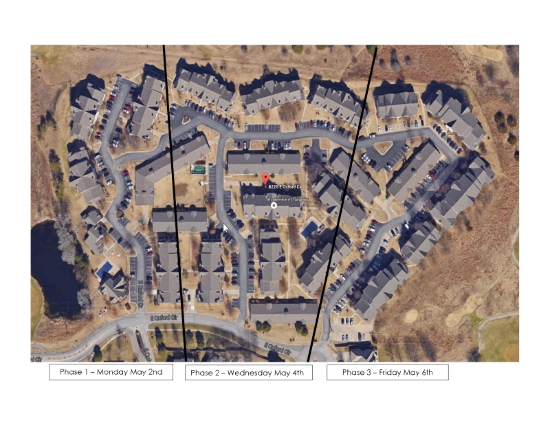 It is time to resurface ("seal coat") our parking lots here at Windemere at Tallgrass. The 1st phase will start this coming Monday May 2nd. The 2nd phase will start Wednesday May 4th and the 3rd phase will start Friday May 6th. (See attached map) Please do not park your vehicle in the designated areas/days or it will be subject to towing (at your expense). Thank you for your assistance in making this an easy upgrade to your community. Mead’s Corner is a fair-trade coffeehouse and café in Old Town Wichita. Aiming to provide the community with a classic go-to setting to study, hang out, and grab a bite, the low-key café has a rustic atmosphere with plenty of seating and a wide variety of menu options. Hand-crafted espresso drinks and house favorites dominate the beverage menu, and new drink specials are available daily. Classic breakfast options, sandwiches, salads, and paninis are also available for eat-in or takeout dining, and their gelato is a crowd favorite. The café regularly hosts events, like live music set, and is available to host meetings and other community gatherings. A bonus: Mead’s is open late: until 11 p.m. most days and until 1 a.m. on Fridays and Saturdays! Butting Heads in the Office? Here’s How to Deal With Difficult Coworkers! Whether your job requires collaboration or you simply want to establish friendly relationships with the people you work with, difficult co-workers can complicate things. Here are a few ways to handle bad attitudes in the workplace. Keep your cool. First and foremost, never lose your temper on a fellow employee, no matter how bad the situation gets. This will only make you lose face in front of your bosses and the rest of the office. Simply remind yourself to maintain a calm, even voice, or just walk away from the situation. Practice good conflict resolution skills. If the co-worker in question frequently disagrees or argues with you about work issues, learn how to resolve these conflicts before they start. Identify common ground by pointing out a mutual goal, and be sure to hear him or her out completely before giving your point of view. Address the issue in private. No one wants to be viewed as unprofessional, so privately point out when a co-worker is being particularly dramatic. Say something neutral, like “It seems like you’re getting very angry about this.” This might make your co-worker notice the error of his or her ways. Don’t be a pushover. It pays to be kind, but don’t let this difficult co-worker feel that he or she can walk all over you. Adopt a fair yet stern attitude that shows that you can’t be manipulated or disrespected. GangNam Korean Grill & Bar is the first Korean barbecue eatery in Wichita, and while the façade can be misleading, many consider it a solid go-to choice for a night out. As with all traditional Korean Barbecue restaurants, diners are given the option to cook their chosen meat (pork belly, spicy chicken, seafood, brisket) at a grill in the center of their table. Be sure to pair your meal with an order of crab rangoon or the fish cakes! GangNam has become known for its large portions. Happy hour runs every day between 3 p.m. and 7 p.m. and afternoon lunch specials like bulgogi and chicken teriyaki bowls are offered for as little as $5. The popular spot doesn’t take reservations, so if you plan to show up with a group on a weekend, make sure to arrive early to ensure getting a table. The Warren Oldtown Theatre Grill combines dinner and entertainment under one roof with its unique dine-in movie theatre right in the heart of downtown Wichita. With seven theatres offering a full menu of lunch and dinner options, movie-goers are guaranteed a uniquely convenient experience. Patrons hit a button to summon the wait staff and order snacks and meals straight from their seat. Don't miss the garlic Alfredo pasta, the Buffalo chicken sandwich, or the hearty super nachos. There is also a full cocktail bar serving daily drink specials and classic movie theatre fare, like popcorn and candy. Those looking for luxury can opt to view a film in the Director’s Suite (as long as they are 21 or older), which has oversized reclining arm chairs and a private bathroom. If you’re saving your pennies, there is a $5 ticket special every Wednesday! The Jacqueline has been described as part salad, part panini — it’s a sandwich that includes sliced turkey, cheese, and walnuts on grilled bread, and Yelpers call it interesting and surprisingly good. Other standouts are the gyro wrap with potato wedges, the Philly cheesesteak, and the pasta with Alfredo sauce. One favorite that diners can agree upon is the melt-in-your-mouth honey biscuits, which are complimentary. Offering a full breakfast and lunch menu, Doo-Dah Diner has often been deemed one of the best eateries Wichita has to offer. The diner opened in 2012 and has quickly become a favorite of Wichita locals. The menu features made-from-scratch comfort food, like biscuits and gravy and chicken and waffles, as well as a decent selection of burgers and sandwiches for lunch. Sunday brunch is an all-you-can-eat-style menu, with plenty of the diner’s famous bacon and raved-about French toast, among other menu items.Hometown pride is evident in Doo-Dah’s decor, with Wichita memorabilia covering the walls. The diner is open Wednesdays to Fridays from 7 a.m. to 2 p.m. and Saturdays to Sundays 8 a.m. to 2 p.m. The low-key restaurant tends to be crowded, especially on weekend mornings, and large groups should be prepared to wait for a table. If you've never tried a Salvadoran pupusa before, it's time to pay a visit to Usuluteco Restaurant in Wichita. The traditional pupusa headlines the menu, a handcrafted corn tortilla filled with the fixings of your choice. Order at least three to start, perhaps the ground pork and cheese pupusa (the revueltas), the fried beans pupusa, and the pupusa stuffed with smoked ghost pepper. You can also feast on other Salvadoran and Mexican dishes, like the fried garlic shrimp, the deep-fried tilapia, or the chicken fajitas. Usuluteco dishes out soups, too, distinguished by exotic ingredients like cow feet, as well as more conventional foods such as beef or chicken. The eatery even reinvents American eats like pot roast and sirloin steak with a Salvadoran twist. Wash down your meal with a horchata (rice-flavored water), chan (strawberry punch) or Kolachampan (Salvadoran soda). Is your wooden cutting board looking a bit worse for the wear? With all of the slicing and dicing that goes on on your cutting boards, it’s no surprise that they need a bit of refurbishment every now and then. Use these simple tips for breathing new life into an old cutting board. First, disinfect your cutting board (especially ones that you use to cut meat) by diluting one teaspoon of bleach in two quarts of water. Dip a scrub brush in the solution and scrub the cutting board in small circles, and then wipe the surface with a damp paper towel and buff dry with a cotton cloth. Next, buff out any deep cuts using a very fine grade sandpaper. You may even want to choose two types of sandpaper so that you can buff out the cuts with one, and then smooth the surface with the other. Don’t leave behind any scratches, as these can collect bacteria. Condition your cutting board with mineral oil on a soft cloth. Don’t use vegetable or olive oils, as these can turn rancid with exposure. Buff the oil into the board using a thin rag, and make a note to retreat the board at least 3 or 4 times a year as needed. Once your cutting board is clean, keep it fresh after each use by cutting a lemon in half and rubbing it all over. Love Mountain Biking? Check Out One of These Bike Trails Mantained by the Kansas Singletrack Society! Forget about traveling to far-flung spots to go mountain biking. Did you know there are decent trails within Wichita city limits? The Air Capital Memorial Park trail is a two-mile course near busy Maize Road and Kellogg Drive. It opened two years ago thanks to the Kansas Singetrack Society, a group of mountain bike enthusiasts that formed in 2003. One of the goals of the KSS is to develop more trails in South Central Kansas, as well as maintain existing ones. Some other trails created and maintained by the KSS include Miller’s Meadow, a roughly five-mile trail that winds through about 50 acres of land near Pawnee and 143rd Street East; the Camp Horizon trail, a nine-mile path about an hour south of Wichita; and Fall River Trail, which is eight miles, located at the Fall River Reservoir. If you're a mountain biker, make sure to check these out! Commuting by bicycle is a great way to save money, cut down on pollution, and get some exercise, but creating storage for your bike can be tricky. If you’re looking for savvy ways to store your bicycle inside, check out these smart spots and innovative products. Hang it on an all-in-one shelf. Many modern bike companies now offer floating shelves that pull your bicycle up off of the floor in an attractive way. As a bonus, these smart shelves also feature hooks for hanging your helmet, messenger bag and other small belongings. Store it vertically in a slim wall space. Even if you only have a slim space between two windows or a doorway, that’s just enough space to hang your bike. Invest in sturdy mounting hardware and store your bike vertically on the wall. Hang it over a door. If you have high ceilings, use them to your advantage. Hang your bike in the unused space over a doorway with a DIY pulley system or reliable mounts. Use a two-bike gravity stand. If you have more than one bike, you can stack them on a tiered gravity stand. This attractive, minimal stand uses gravity to keep the bikes upright, and best of all, it doesn’t require any drilling into the wall.